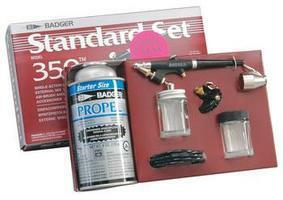 Shop online for 62 airbrushes on sale at discounts up to 50%. 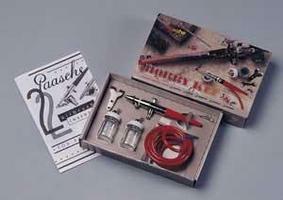 Accessories is the most popular of the 7 airbrushes on sale categories, then Airbrushes, and Paint Brushes. Badger Airbrush Co. is ranked #1 out of 10 airbrushes on sale manufacturers, followed by Paasche Airbrush Comp., and Testors. This is the White Primer 4oz from The Badger Airbrush Company. 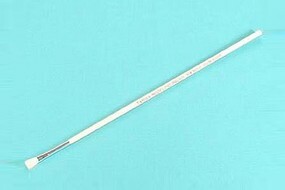 This is a Medium Needle for Badger Airbrushes. This is the 3 Pack of Trim Tape from Testors. These are the Testors Quick Connect 15 ml (1/2oz) Jars For the Testors Aztek A2203 and A2207 airbrushes. This is the Badger/Paasche Hose Adapter from Badger. This is a pack of three Flat Economy Paint Brushes from Testors. 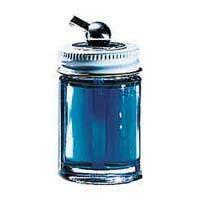 This is a Testors #2 Golden Synthetic Round Model Master Paint Brush. FEATURES: Solid birch wood handle Seamless nickel-plated ferrule Hand-formed synthetic gold bristles are glued into the ferrule. For painting small assemblies. With a fine tip and large body for good distribution. For color application of small areas, blocking in on large details and application of pinpoint washes. Excellent all-round brush. Packaged in a bubble pack with peg board header card. 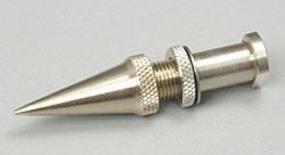 This is the Fine Tip & Head for Model 100, 150 & 200 from The Badger Airbrush Company.